A court case against Lutfur Rahman, Britain's first elected Muslim Mayor, concluded last week, with a verdict expected in early April. A defeat for Rahman would represent a huge blow against a genuine proponent of progressive change and a victory for the forces of reaction and anti-Muslim bigotry, argues Jennifer Izaakson. Throughout the twentieth century, London’s Jewish East End has endured more than its fair share of racism. Sometimes it was far-Right groups, like the British Brothers’ League or Mosley’s Blackshirts, marching through the area. At other times, this was manifested in the establishment’s expectation that Jews would integrate – that they would refrain from flaunting their foreignness by speaking German or Hebrew in public – or in open calls for a reduction in Jewish immigration. Imagine the following: it is the 1930s and the East End has just elected a Jewish mayor to the town council; a man who had been thrown out of the Labour Party after claims that he fixed a vote, claims the party later found to be baseless. The man then runs as an independent and wins, going on to provide record numbers of council homes alongside improving schools. He supports raising wages as Chamberlain’s Tory-led government presides over a period of rampant unemployment. Imagine that just before this man was due to stand for re-election a state-run news outlet accused him – the UK’s first elected Jewish mayor – of corruptly favouring synagogues and hiving off money to shady Jewish businessmen. These allegations are then repeated by a government minister who had previously insisted on compulsory Christian prayers in Town Halls. Imagine that three local politicians from opposing parties and one Jewish businessman who opposed the mayor took him to court, claiming that he rigged the election. Imagine this Mayor had the temerity to say his main political opponent was divisive and irresponsible after being accused by said opponent of favouring Jews (whilst far-Right groups exploited these claims and marched through the borough terrorising the local Jewish community.) Imagine that if the court were to find him guilty of wrongfully calling his opponent a racist he could be barred from elected office. When the claims come to court, local Jews are quizzed on whether they spoke to voters in Hebrew and shared latkes, bagels and chicken soup on the street, whilst the national press present an almost entirely one-sided view of the case that assumes the mayor is guilty until proven innocent. A respected columnist says he is part of a ‘brutish, zealously religious, feudal’ culture ‘imported’ into Britain. Our modern sensibilities might look back on this as a sad chapter in our history, never to be repeated. And yet, swap ‘Jew’ for ‘Muslim’ and ‘Hebrew’ for Bengali (and Chamberlain for Cameron) and you have, to the last word, the story of current events in the trial of Lutfur Rahman, the Mayor of Tower Hamlets Council. Every complaint relating to Rahman’s election was investigated by the police and Electoral Commission prior to the trial. None were pursued. But let us for a moment ignore the ludicrous allegations – stories of lollipops being handed to children by a candidate, or someone’s house apparently being burgled for a single postal vote. Let us, for a minute, assume that every absurd allegation made by every disgruntled Labour and Tory campaigner is true. Let us take it as read that curry was doled out to supporters, that campaigners ordered people to vote for Lutfur, and that religious leaders issued statements saying that voting the wrong way would be sinful. For all this to work and affect the result of the election (which Lutfur Rahman won last May by over 4000 votes) relies on two assumptions. The first is that Rahman’s support came entirely from a ‘Bangladeshi block vote.” Yet whilst there is strong support for him in the Bangladeshi community, Rahman has significant numbers of supporters and opponents in all communities, and securing the Bengali vote alone could not have delivered the election. The second assumption is rather more dangerous: that the Bangladeshi community are easily-led, simple-minded, and will vote the way they are told given a sharply-worded order and a plate of biryani. That is colonial logic of the worst kind, carrying with it the implicit assumption that whilst ‘we’ make informed and critical decisions about politics, ‘they’ are either corrupt or just easily-led sheep. It gets worse: in some of the witness statements, allegations of ‘intimidation’ have been based on Asians simply standing in the road and doing nothing else. Brown bodies apparently being terrifying by simply being brown bodies. It goes without saying that there is a whiff of stereotyping about these claims. Lutfur is accused of anti-Semitism, though he’s allocated thousands of pounds to the restoration of the East London Synagogue. He is also accused of homophobia, though he’s signed up to support saving Shoreditch LGBT pub, the Joiners Arms, from closure and has been photographed on stage with arms around drag queens; not to mention his intervention to stop the possible closure of the Limehouse gay pub, The Ship, ensuring its license was reinstated for double the length of time. Incidentally, although John Ware interviewed a patron of that pub for his Panorama episode on Lutfur, he somehow conveniently chose not to include any of the interview footage in the programme. While his policies may be considered ‘progressive’ today, it’s worth noting he’d voted for David over Ed Miliband in Labour’s leadership contest. Yet even the fact he is not outside the political mainstream has gone largely ignored. Instead, he’s been routinely tarred with that nebulous, sinister-sounding label that seemingly gets thrown at any Muslim politician – from Rahman to Tory Sayeeda Warsi – of having ‘extremist’ links. A man of such ‘extremism’ he shakes hands with women, embraces drag performers and happily wears a yarmulke when visiting synagogues. Rahman’s trial at the Royal Courts of Justice ended Friday 13th of March with the verdict expected early April. If he loses the case he is expected to be banned from office for many years. If that were to happen, a political project that was by no means perfect, but genuinely exciting and different – a project that built more social housing than any other borough, secured the highest-ever election turnouts and marshalled the best resistance to austerity seen inside the political system – will have been forced aside by a few irate and failed politicians, aided by a scaffolding of implicit, and not so implicit, racist innuendos and calumnies. Jennifer you have analysed the situation really well. It’s really amazing how you draw a real picture! I’m with the general thrust of this article, but only up to a point. Rahman remains a corrupt and cynical career politician, not the valiant progressive that this article makes him out to be. Many of his constituents have just grievances against him that cannot be dismissed as bigotry. The fact that he has (sadly) been subject to racist rhetoric does mean that he is without significant flaws, and that those flaws should not be criticised. Then again, much of this criticism has been beyond the pale, and I’m grateful to the author for pointing this out. Interesting analysis of a very very messy situation entirely of the government and labour party’s making. One has to wonder how this whole undignified episode will affect the parliamentary Labour party in the East End and beyond, amongst people of colour and the long lost left. There is another dimension here that is well worth bringing up, that of the transnational collaborations that are Lutfur’s enemies. It is intriguing to see the British and Bangladeshi establishments align like this. We have a Labour-Tory consensus working hand in glove with the autocratic and murderous regime of the Bangladesh Awami League and its UK section. In return we have the Bangladesh Awami League directing its workers to mobilise to ensure the election of its party chairperson’s neice who is running for Labour in Hampstead and Kilburn, and the return of Rushanara Ali in Bethnal Green and Bow. So you don’t care about the evidence decided upon by the court, you don’t care about the truth – you only care whether or not it makes Islamic politics look bad? Throughout the article you’re just focusing on racism, racism, racism. We don’t need to imagine Rahman being Jewish – totally irrelevant. The plaintiffs in the court case aren’t the “racist media”, they’re 4 voters who are convinced that wrongdoing occurred. I’m a fellow Green Party member, by the way. 1 – No Jury in this case. Everything depends on the interpretation of a white Judge about racism in case of main slant of the case – Section 106 – and the Judge is human so can be affected by this axes-of-racism/losers/played upon/grinding axes – media, Labour, Tory etc. Andrew Gilligan was used by this nexus to appear before Court against Mr Rahman. 2 – Conservative Party Leader locally was instructing the petitioners’ solicitor in the court throughout with help from certain Labour people. I don’t actually care if the prosecution is motivated by party politics or racism. I only care whether or not the allegations are true, especially regarding the voting ballot fraud and people speaking out about it being threatened with death by Rahman’s supporters. And the allegations about how Rahman ran/is running TH. Further on the racism, claim: it’s difficult for me to believe, since Lutfur Rahman isn’t the first muslim elected official in Britain – others have been elected and they haven’t faced corruption charges. The charges are vary varied and coming from diverse sources, so it’s difficult to allege racist collusion. Do you think that the allegations of electoral corruption against Silvio Berlusconi were racist? As I was married to a Bengali lady in heart of Whitechapel, I have to challenge the tone here. Assumptions of racist or bigoted agendas is a safe corner to be in, it appears. Firstly, Bengalis are closely knit, and that includes voting where large swathes will follow one direction. That is not saying they are simple at all. But can be misguided. The phrase I remember most from the 2010 election was “Vote for number 5”. And canvassers did use reasons of religion and sexual orientation to dissuade locals from other candidates. That happened on our doorstep. The court transcript was lengthy, but illuminating, as there was undisputed evidence of blatant incompetence. As well as a lot of diversion tactics from witnesses. You can call it a conspiracy, or it could be holding your head in the sand, and never seeing below the surface. For example, child protection in Tower Hamlets is a bad joke, as social services is filled with people too young to deal with serious issues. Waiting for disaster is general policy. nspcc are a common resort. There are cultural issues, with handling abuse. There are also problems in tower hamlets, directly from Lutfur Rahman and the council, and the endemic corruption and self-serving behaviour. It is important not to muddy those, with the local Bengali population, many of whom are simply struggling continuously to survive. The court case is about Lutfur and suspect practices, not evaluation of entire TH population. Or about racial/culture bigotry. If you judge someone by their brochures, their press, then you are a salesman’s dream. Look at the people who brought the case, and actually look around. The internal Tower Hamlets press machine, is mostly about illusion. 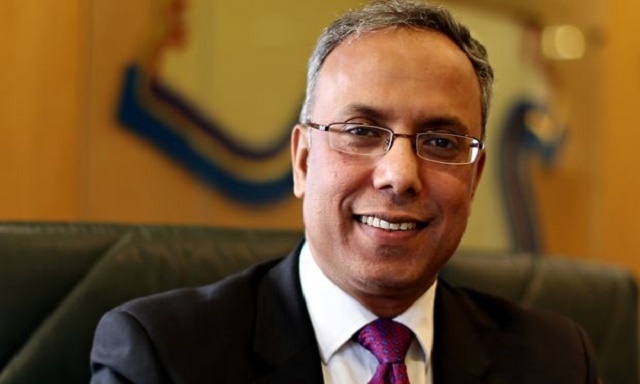 “Forensic examination of postal votes cast for the extremist-linked mayor of Tower Hamlets, Lutfur Rahman, has shown that many appear to have been forged. Nail in the coffin there then. Look I actually live in TH and Rahman is not an extremist. An opportunist yes, who threw his toys out of the pram when expelled from Labour. This article is utterly naïve and insulting to those of us who live in TH. More council houses? I have missed those. Better Education? Yes, we work in it and deliver it, not Rahman, because there is an excellent team in place. He is opportunistic, he supports Muslim charities over all else and yes people are told to vote for him or be religiously damned. The “writer” washed over that and ignores the attacks on Labour supporters (physical) that forced the count to be moved. Tower Hamlets First grew out of the rank racism of Galloway’s failed respect, responsible for an anti semitic campaign against Oona King. The “writer” here really needs to grow up, understand politics and the politics of extremism and stop spouting such ill educated uninformed rhetoric. What will be a great day for TH and our people, all of us, is when this corrupt opportunist is kicked out. Oh and by the way, his party are too terrified to stand in the election because they know what is coming. that’s why it will have no effect on Labour. Greens are so politically naïve, please don’t waste your vote on the “writer’s” party, its politics would be shunned by a primary school council. Rahman is a disgrace and a fraud, but not an extremist, just another of the usual opportunists in politics. You haven’t read the judgement, have you? How many Rahman critics would support an anti-corrupt, Bangladeshi-supporting, Asian candidate for Mayor in the next election? Not many. I think. He broke more electoral laws than anyone else in history, including some that had never been tried before. Which is weird, considering he’s supposed to be a solicitor. No matter how exciting you think his project was, it was not a democratic project. It was funded by shady Saudi organisations, and divided the community by design. It was dangerous.